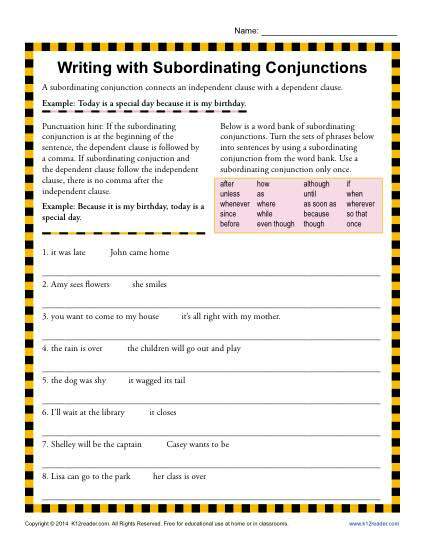 A subordination conjunction connects a dependent clause to an independent clause. Understanding its use is important in correct punctuation. In this worksheet your youngster will connect phrases with this type of conjunction. Use it for 3rd grade Common Core Standards for Language or for other students as appropriate.